Nick Hart, the Founder of Spencer Hart, has worked in the menswear industry most of his life, having started his career working in a tailor’s shop in Berkshire at the age of 14. By the age of 16, Nick was importing Italian and American accessories to the UK market and by the age of 18, he created his own modern, Italian brand, designing and importing it to the UK. 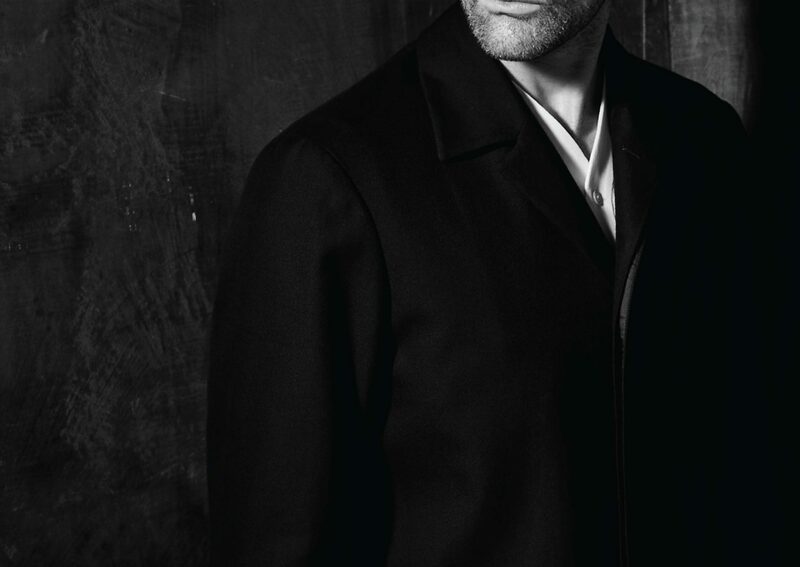 The modern menswear market was changing, with the emergence of Armani and the great Italian and American designers, Nick was at a critical moment of the new era of designer menswear. Nick went on to create his own marketing and sales consultancy brand, NRH, which brought a number of fashion brands into the UK and elsewhere. Eventually selling the business to LVMH, he was appointed as the Director of Menswear for Kenzo Hommes, in Paris, and was charged with redefining the product and how it was distributed and marketed. Over the years, Nick also worked with Joseph Ettedgui, the founder of modern, British brand Joseph, an acclaimed brand story teller and creator. He worked with Jil Sander, Dior and mass cultural brand Diesel across the areas of design, marketing and distribution. Nick went on to modernize iconic British brands, Timothy Everest and Chester Barrie, with the latter totally redesigning the brand, by fusing its British heritage and craftsmanship with a modern, luxury brand approach. Working with Aquascutum, he designed a new sub-brand called “Nick Hart”, a modern take on the brands history fused with Nick’s modern design aesthetic, which sold all over the world and was worn by the likes of Bowie and The Artic Monkeys. These experiences eventually led to Nick opening Spencer Hart, his first own label designer brand in 2002. Named after his best friend and latterly his son, Spencer Hart was a new movement in menswear. Opening on Savile Row to critical acclaim, it shook the menswear industry with its modern, pared down approach to the British Aesthetic, at the time dominated by checks and stripes. Spencer Hart, described as ‘the most original new venture in menswear’, set a new template and was at the cutting edge of design, mixing old school charm with modern craftsmanship and an understated elegance. The success of the Spencer Hart brand led to expansion overseas with the likes of Bergdorf Goodman, inviting Spencer Hart to open a shop within its New York premises. Further shops followed in Liberty’s and Selfridges in London and Isetan in Japan. Spencer Hart was also stocked in leading luxury retailers such as Harrods and Lane Crawford. Latterly, Nick developed an approach to create an affordable diffusion line for young people who were shopping online. He was invited by ASOS, one of the world’s largest online retailers to be stocked and marketed on their platform. In parallel, Nick employed the same strategy across China, where he was stocked in 1000 stores with the retailer Selected. Bought and worn by a who’s who of the modern world, Spencer Hart became an incredibly influential brand, leading to partnerships with Mercedes Benz, creating a one-off luxury car, Rolls Royce and Samsung. In 2011 Nick went on to open a flagship store in the heart of Mayfair, described as a ‘cathedral of cool’, with the launch party attended by modern day icons such as The Artic Monkeys, Miles Kane, Robbie Williams, Massive Attack, The Kooks and Benedict Cumberbatch. Taking inspiration from his love of Palm Springs, the self-designed space, housed the brand’s tailored leisurewear collections alongside a series of partnerships with historic British brands such as Floris fragrances, Edward Green shoes and Swaine Adeney Brigg luggage. The results were modernist but resonated with serious heritage. The brand was always international. Spencer Hart was never far from Bungalow no. 2 at the Chateau Marmont hotel in LA. Setting up at shop across the Hollywood Award Season, the brand dressed the who’s who of the Hollywood elite at The Golden Globes and The Oscars, fighting of competition from huge household names. This global presence led to the Spencer Hart being approached by The California Tourist Board to produce a short film. Named, “California Dreamer, Nick Hart and the Rebirth of Cool”, the film addressed Nick’s love of California and old school Hollywood. In 2015, responding to the needs and changes in lifestyle from some of his new clients from the world of tech and new industries, combined with the biggest disruption to the way men consume goods and information, a conclusion was reached that men’s most precious commodity was time. Many uber successful men want to look effortlessly cool but do not have the time or interest to devote to it. The challenge was to find a solution to the issue which enabled them to look the best version of themselves, with the least intrusion into their time. Ultimately an investment of 45 minutes, in return for looking flawless 24/7, 365 days a year. After all, money was not the issue here, they already demand the best from their other life experiences, so why not be able to also look their best in front of their colleagues, shareholders, investors, friends, family and on social media. In conjunction with Andrew Lendon, a 25 year veteran of top British menswear pioneer and luxury brand Paul Smith. Responsible for running the retail operation all over the world, they have created and developed, over two years, THE WARDROBE by Spencer Hart to solve that problem. For 15 years, Spencer Hart has become a favourite of the most watched men in the world: rockstars, movie icons, world class sportsmen, royalty, creatives and entrepreneurs. From rock legends, John Paul Johns, David Gilmour and Paul McCartney, through the kings of hip hop, Kanye West and P Diddy to modern day icons, Nick Cave, Coldplay, Brett Anderson, Alex Turner and Miles Kane. Acting heavyweights, Benedict Cumberbatch, Matthew McConaughey, Dominic West, Damien Lewis, Jason Statham, Tom Hiddleston and Orlando Bloom. 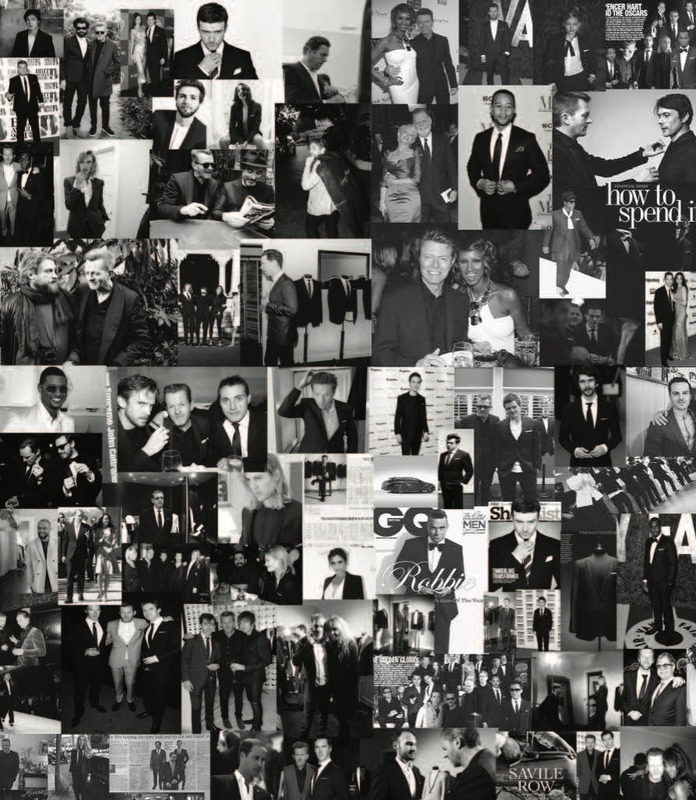 Global style icons, David Bowie, Jeff Goldblum, David Beckham, Mark Ronson and John Legend. Spencer Hart has dressed the who’s who of the modern world. He set out to construct a cool vision for men, drawing stylistically from film and music icons, with an attitude extracted direct from the Rat Pack. A strict design code was applied to colour, fabric and cut, paring back elements to deliver a distinct yet low-key aesthetic – sharp tailoring with attitude, but never showy. Forget bling, suits are the thing, and Nick’s the Savile Row king. The most original venture in modern menswear. The best tailor in the world. When David saw the clothes, his eyes lit up.